I really love the greenmarket this time of year. If you know me even a little (even and especially on social media), maybe you’d argue that it seems I love the greenmarket with an equal zeal bordering on obsession at all times of the year. Fair. But, here in late summer when the plums are spilling off every table, the tomatoes aren’t waning, yet crates of apples and pears start making their debut, it makes a produce-greedy girl like me feel like she can have it all. With the things I have the willpower to resist, I’ll often play the waiting game, keeping my eye on their prices and waiting for a deal. Sometimes this leaves me with the problem of too many serrano peppers. In the case of these apricots, I got a steal on some Hudson Valley fruit. I was still buzzing with inspiration from popsicle week, I decided these were destined for pops. I really wanted to make these pops whole fruit, ie: not add any additional water or juice, so I used a technique that will be familiar to the jam maker’s out there called macerating. Basically I just tossed the apricots with sugar and let them sit for about 30 minutes or so before cooking. This draws out some of their juices, so the fruit can start out cooking in its own liquid. A while back, the folks at Vermont Creamery sent me a bunch of their products to play around with. I was already a big fan of theirs because they make Coupole, one of my all time favorite cheeses. 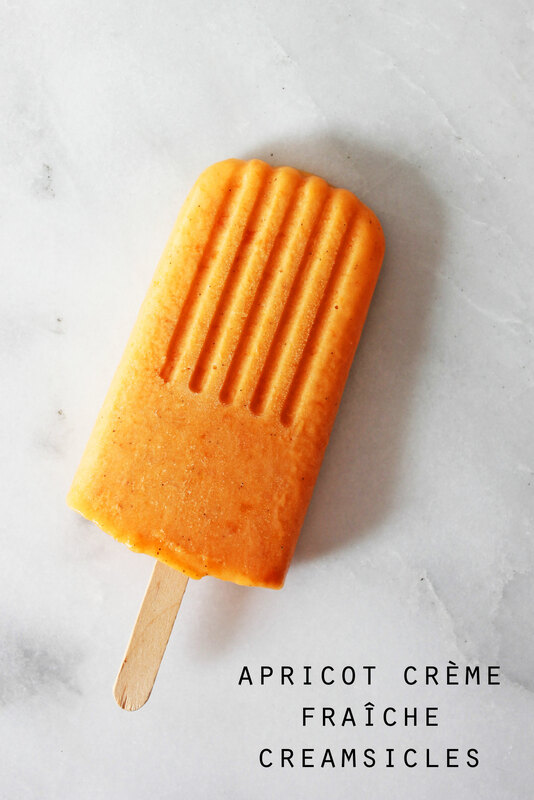 The creamsicle part of these pops comes from Vermont Creamery’s Madagascar Vanilla Crème Fraîche, which is pure dairy luxury. It’s a spoon straight from the container situation. Toss together the apricots, sugar, and lemon juice in a medium saucepan and let sit for about 30 minutes, or until they produce enough juice to cover the bottom of the pan. Begin cooking the apricots over very low heat, stirring frequently until the sugar is completely dissolved. Increase heat to medium and cook until all the apricots are soft and beginning to break down, adjusting the heat if necessary to keep the mixture at a low simmer. Remove from heat, let cool slightly, and carefully pour into a blender. Blend on medium until the apricots are a smooth puree. Pour back into the saucepan that you used to cook them in and whisk in the crème fraîche until it is fully incorporated. Spoon the mixture into popsicles molds and freeze according to the manufacturer’s instructions. Since you’re basically making an apricot butter, I wondered how canned apricot butter would work with this. If you’re someone who canned apricot butter this year and try this, let me know how it goes. 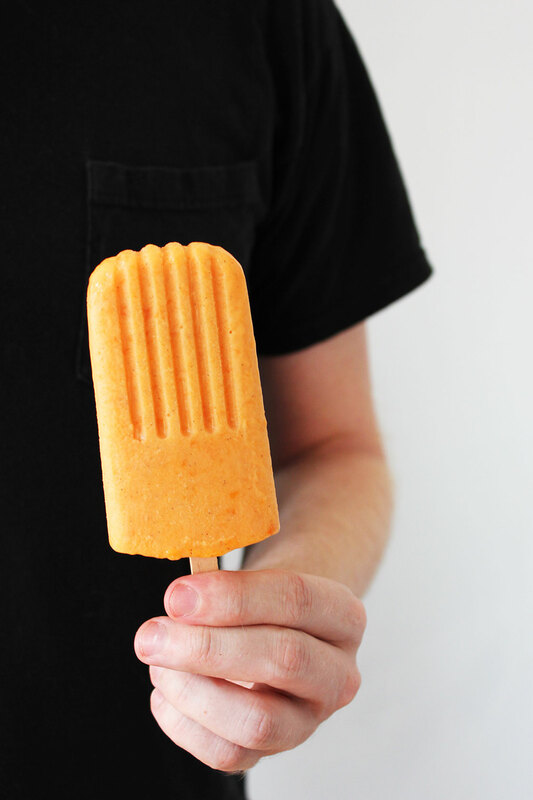 These pops have got it goin on… Like an adult spin on ole school creamsicles. Thanks, Erika 😉 Just a little more sophisticated, still super delicious! 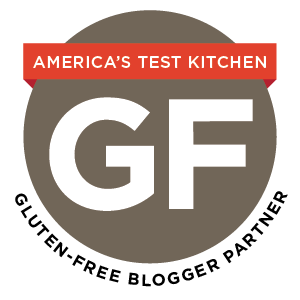 that creme fraiche sounds amazing! loving this flavor combo and that color! Thanks, Cindy! It’s total vanilla bean magic. I feel you re: the greenmarket! We do most of our grocery shopping at the Park Slope food co-op but I still love popping into the greenmarket. OH man I haven’t had creme fraiche in a while and this sounds soooo good. Love the photo with the black tshirt background! I hadn’t had it in a while either, Sarah. I totally forgot how delicious (and necessary!) it is. I’ve been resisting the urge to by a popsicle mould for the last few months even though they’ve been all over the blogasphere! I think you’ve just broken my will power with these! Ah well better try and clear a space… Can’t wait to try them!